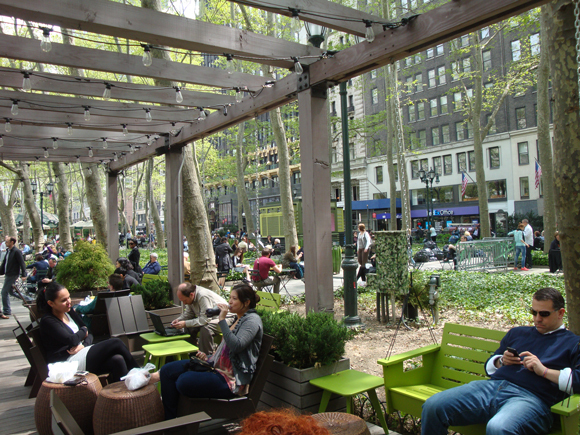 Bryant Park Blog: Southwest Porch is Open! Space in the park has been tight on sunny days like this, so I'm happy to report the Southwest Porch has re-opened for public lounging. The 'wichcraft kiosk is still undergoing internal renovations, but for now you can enjoy the new furniture while we continue to make improvements to the Porch. For a refresher on the upgrades, check out this post. Update 5/4/2011: Stay tuned for information about the official Porch re-opening celebration.